Headquartered in New York City, Modway Furniture is a trusted furniture company offering modern-classic furniture pieces with timeless style. 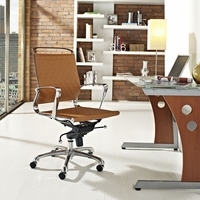 They are known for their hard wearing furniture in trendsetting designs. If you are looking for tables or chairs that can also serve as a stand-out statement piece in your home or office, you can count on Modway Furniture. Remember that rattan-weave swing chair you've always wanted? Modway has something like it to offer at a very affordable price. Among their other coveted creations are the contemporary chairs elegantly designed with molded fiberglass frame, the minimalist office desks in white finish, wooden coffee tables with metal wheel base, 1950s-style retro bar stools with padded vinyl seat and dramatic lighting fixtures. 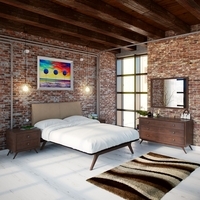 These are just a few of the eye-catching accent furniture manufactured by Modway. Take a closer look at their full collection and see how their vibrant style can give your home a fresh new look. Add a modern style to your living space by shopping for Modway furniture, outdoor furniture, and home accessories today at ShopFactoryDirect. 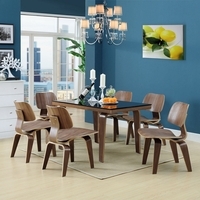 Get Modway's expertly crafted accent furniture at factory direct prices plus free shipping.